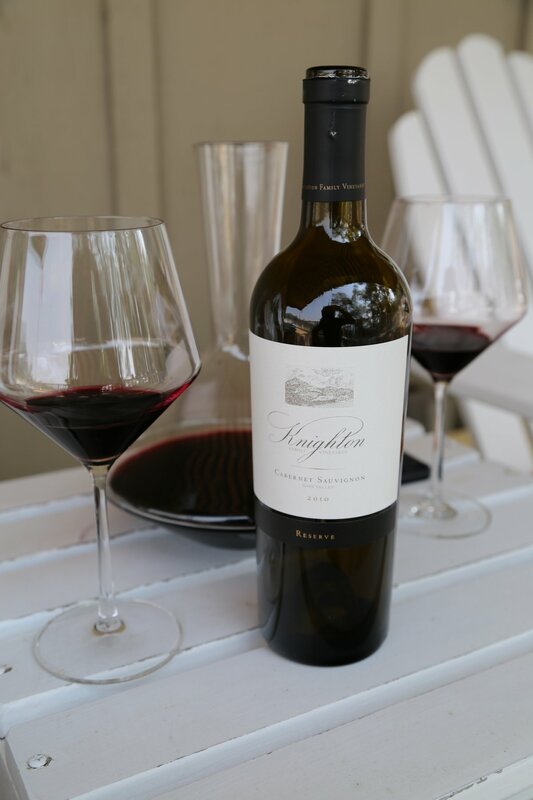 Knighton Family Vineyards was founded in 2007 by Jim and Ann Knighton with their first commercial release. However the story of how they came to live in the Napa Valley begins a few years prior. Jim was living and working in San Francisco at the time – his home was located in the Sunset District, an often cold and foggy part of the city even in the summertime. In 1999 Jim decided he wanted to purchase a small weekend home in a location that offered a respite from urban life as well as a climate that delivered more of a ‘true’ summer. Jim provided his real estate agent several criteria to help narrow his search – the home needed to be small, it needed to be located near Calistoga and the property should have nothing to do with vineyards. He and his real estate agent spent months visiting suitable properties. One day his real estate agent called and said a property came on the market but wasn’t sure if he should even mention it to Jim as it satisfied none of Jim’s requirements. Jim viewed the property – the old vineyards were overgrown, there was no house on site, (just an old garage) and it was 3 miles up the very windy and narrow Old Lawley Toll Road. The site was nowhere near the town of Calistoga. Jim purchased the property anyways. 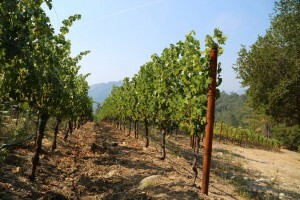 The site is 50 acres of which just 3.9 acres are currently planted to vine. 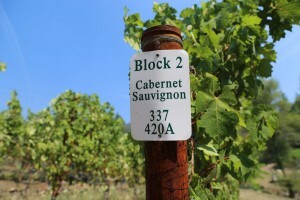 Five vineyard blocks are located on site – two of which have yet to be planted. 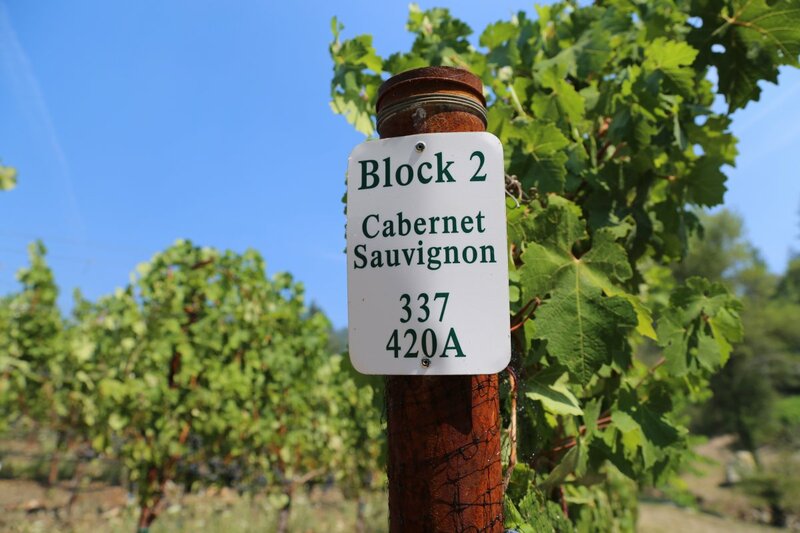 These blocks were originally planted to Chardonnay in the early to mid 1980s’. By the time Jim purchased the property these blocks had been abandoned and had been overgrown by poison oak and other chaparral. 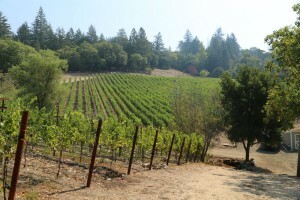 This is some of Napa’s most rugged vineyard land and is certainly one of the county’s most unique vineyard locations. The property is perched high on the slopes of Mt. St. Helena about a mile from the Lake County line to the north; this is steep, rocky and brushy landscape. 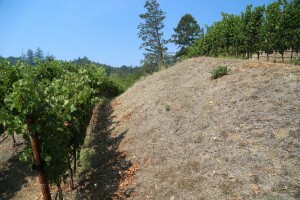 These vineyards could not be planted today – they are on slopes that exceed the maximum allowed county ordinance of 30% slope. 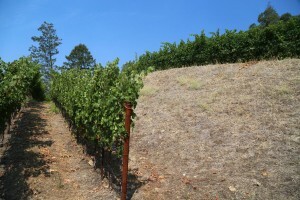 However if vineyards have already been planted on site (even if they are no longer maintained) certain requirements must be met and then the vineyards can be replanted under Napa’s Track II Vineyard Erosion Control Plans. Fast forwarding to 2004 Jim started looking at the old vineyard sites and realized their potential if they were replanted. 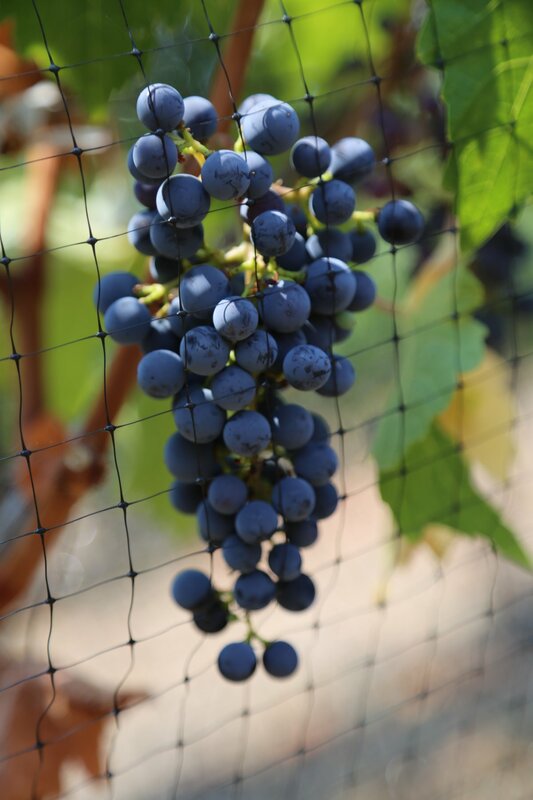 An acquaintance told Jim to call Pina Vineyard Management Company with the caveat that they probably wouldn’t be interested in developing his small vineyard site. When Pina saw his site they realized just how unique of a location this is; Jim soon hired them and they replanted the vines in 2004 and continue to manage the vineyards. 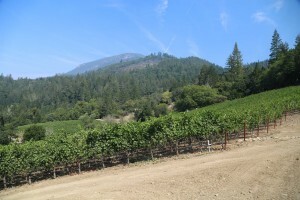 The vineyards are located at an elevation of about 1,000 feet up to 1,500 feet. Some of the vines are planted on such steep slopes there are only two rows of vines separated by about 20 feet of terrace spacing between the next two rows. Jim has since improved old dirt fire roads that were overgrown when he purchased the property. He heard they were possibly put in to log timber from trees that had been quickly burned during the infamous Hanly fire of 1964 that burned from the base of Mt. St. Helena all the way to Santa Rosa (a 30-35 min drive today). History repeated itself in October 2017 when the Tubbs Fire (burned from Calistoga all the way to Santa Rosa), also burned much of the south facing slopes of nearby Mt. St. Helena and approximately 10 acres of their own property. The property is bisected by Jericho Creek. This creek forms a boundary between significantly different soils types – one side of the property is composed of rocky volcanic compressed ash – the other side is just as rocky with soils and rock deposited from an ancient landslide. 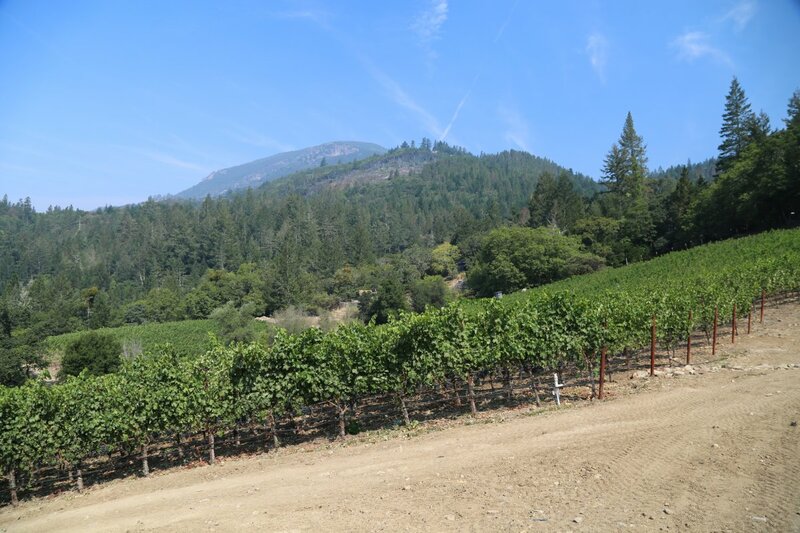 This property grows exceptional grapes – it also “grows” lots of rock as evidenced by adjacent rock piles that seem to grow each year as vineyard workers add to these. 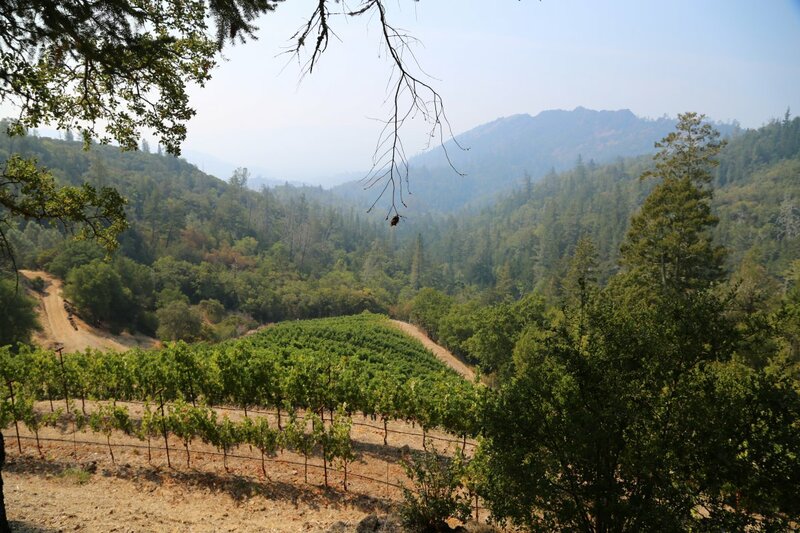 Despite having a Calistoga address, they are nowhere near the town of Calistoga and are not in the Calistoga AVA. 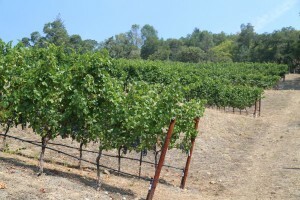 They are the northern most commercial wine producer along Highway 29 in Napa County. 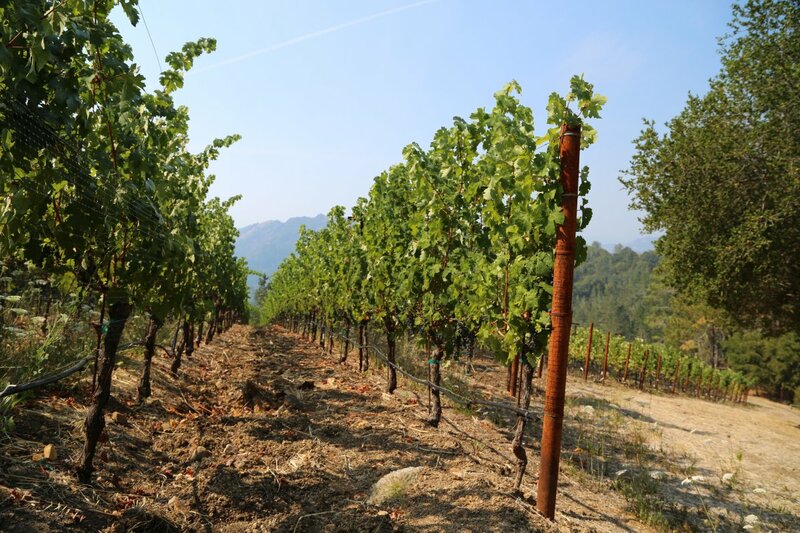 There is no winery on site – rather the wine is made at Vineyard 29 (one of Napa’s most technologically advanced wineries) by winemaker Keith Emerson. Conveniently, Vineyard 29 also purchases some fruit from their vineyard. Their first vintage was from 2007 – a mere 50 cases. Even today they don’t make much – a typical production is around 300 cases. The 2010 vintage is 98% Cabernet Sauvignon and 2% Petit Verdot. The bouquet reveals pretty aromatics focused on the fruit – showing blackberry, red and dark cherry, black licorice and hints of cedar. With five years at the time of our tasting these mountain tannins are already fairly well integrated on the palate – showing up first on the front of the palate. They are slightly dusty with a chalky quality. Of all the wines we tried at a tasting at Solage Resort earlier in the year – the several vintages from Knighton Family Vineyards made the most favorable impression. A second wine named Ava Grace is named after their first grand daughter and is made to be approachable and enjoyed at a young age – the first vintage is from 2012. We are looking forward to enjoying a glass soon!